finished and polished hair baking in blender (ao, id, root mask, tangent map, normal, depth etc). Amazing update, the baking works a treat, thank you very much! Quick question: I want to duplicate a plan that is generating hair (ctrl-d). When I edit the parameters for the second one, they are also modified for the original plan. Any idea how to break the connection? (U doesn’t work). Thanks! You are using ‘curves from grid’? Then splitting source grid mesh into two separate objects should make two completly separate curve hairs from each of grid mesh objects. Or you are using something different from ‘curves from grid’ operator? Hello, I just got this addon and it is amazing! 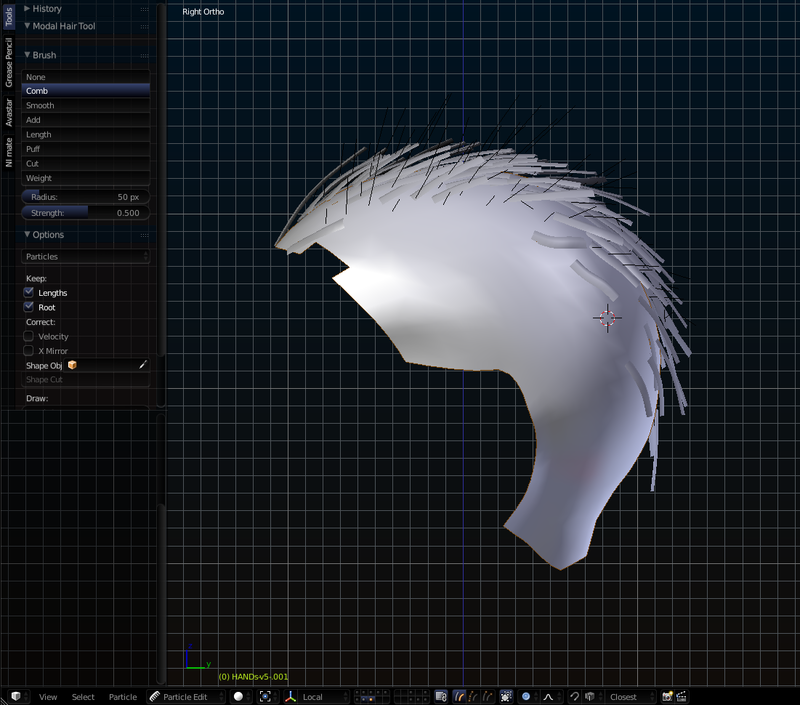 I am having only one problem really, when I go into Particle Edit, the Modal Hair Tool box is blank. Great update once again, thanks for adding that diffuse baking option! I’m drawing my own splines (like on your videos at 14.38). I can see that the particle system is used multiple times (every time I duplicate the mesh), but I have no way to break the link (greyed out option). Joebount -when you draw grease pencil strokes, you have to have at leas one object selected so that ‘curve from grease pencil’ button will be active. I should probably change that - not sure why I did it this way. Hum, not sure I understand what you maen here. Basicaly, I did exactly what you did in your video, but I just duplicated the mesh (the hair emitter) after creating the curves and hair particles just like you did. changed ‘Randomize Curve Tilt’ operator - this change makes it now possible to make curly hair. added ‘Generate Braid’ Operator. See video below. I think you are using bezier curves. They are not supported with taper, I will add support for them in next version. For now you can convert to bezier to nurbs, or poly curve. Then tapering should work. oh wait, just noticed that it does work when the whole curve is selected instead of just a few CVs. is that new behaviour? i could swear i was able to just select end points and press ‘Taper’. terrific work with the updates by the way! Just a quick request if it’s possible to implement: would it be possible to have a lift control along the length of the cards, meaning that you could for example have a card with flat root and bulging toward the top? @joebount sorry - blender curves do not have support for this kind feature through python. Could any of you donate (CC0) a couple of realistic hairstyles with hair particles system to test new Principled Hair Shader (.blend file)? Some hairstyles like those that appear in papers of other software published along that thread. Well, I could give some hair, but problem is that HT is for polygonal, lowpoly hair. I don’t have any particle hairs unfortunately. Yes this is for textured polygonal geometry for realtime engine use, not the type of hair particle system for offline rendering you seem to be aiming for. It seems like the gradient falloff option for the ribbon weights is grayed out. Is this supposed to work? Also it generates weights with the most weight at the root which seems a bit weird to me, normally you would want the parts the furthest away from the root to move the most (easily fixed with Invert but anyway).